Colombia's President Ivan Duque at the presidential palace in Panama City, Sept. 10, 2018 (AP photo by Arnulfo Franco). 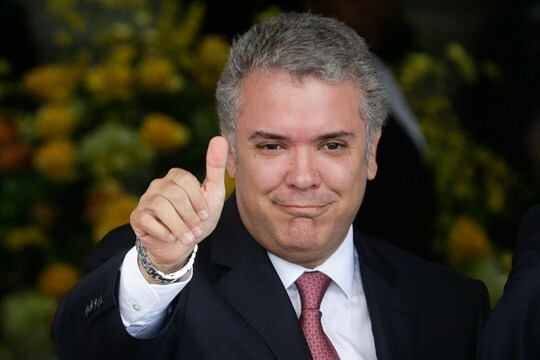 Colombia’s young president, Ivan Duque, just passed his 100-day mark in office, and the results so far show that a deeply divided country, after decades of war with guerrilla groups, will remain tough to govern as a fragile peace struggles to take hold. In the years to come, the 42-year-old Duque is sure to face headwinds made even worse by the polarization resulting from years of bitter conflict.